WWE is set to bodyslam its way into your headsets this year, thanks to a partnership with NextVR. The pair will offer an experience that not even live TV can provide. Using strategically placed cameras around the ring, the action will be captured in true 360 degrees, allowing users to get up close and personal with their favorite superstars as they duke it out. We’ve got the details, along with a few extra sports you can check out on your newly acquired headsets below. Read on to see what the WWE plans to do for its first big push into VR content creation. For now, WWE will run 6 episodes that are each about ten minutes in length per year. It’s dipping its feet into VR, but NextVR users will get this content for free. WWE does maintain its own online streaming service, so it’s likely more VR content will appear on that platform in the near future. The tech behind the scenes is pretty impressive. Around the ring, including crowd favorite spots like the turnbuckle, operators have mounted about 10-12 360 degree cameras. Users will be able to change angles at will. The matches aren’t full matches, more like highlight reels. Expect a lot of dynamic action, and the ability to freely scroll through at will from any angle you please. Releasing in the first quarter of 2018, WWE’s VR experience will be a unique showcase of what VR sports is capable of. That is unless you’re based in China, where no announcements have yet been made on availability of this experience. If you’ve got a Samsung Gear or an Oculus Rift, you’re in luck. 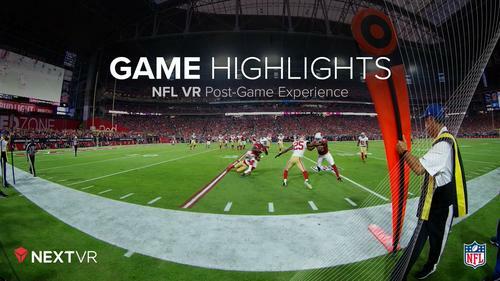 Live sports are readily available, often times with entire games cast in VR with multiple angles. Expect to find NBA, NFL and even some MLB content on these platforms right now or in the very near future. Fox Sports also has free content available through the Oculus Store, and a few videos on YouTube. For now, Vive users will need to be content with surfing the content on YouTube, as live sports appears to be in fairly short supply for that platform. It’s also worth noting that Samsung routinely scores specific partnerships for its Gear VR platform. One recent example includes the X-Games, but these occur periodically on both Oculus and Samsung’s platforms. We are in full support of all VR sports growing, and it’s hard to deny the athleticism on display in a WWE match. Revisit your kid side with some free content. It’s an excellent gateway into the world of VR if you’re just joining us, or a fun diversion for an off day. Plus, the libraries are growing. The more fans tune in, the more we can expect this space to grow. Mobile is such a great entry point for VR because it pairs with experiences like virZOOM, offering the upgrade to a proper fitness experience if that’s where you want to take it. Although the Vive is a little light on sports content, we find it to be the superior headset for fitness enthusiasts who want to workout. If possible, check out some of these experiences on your mobile device so you don’t miss out on this revolution in sports casting. Don’t forget that LiveLike is experimenting with some interesting viewing features, including additional statistics about the game and some party features. NBC will also stream some Olympic events in VR thanks to a partnership with Intel, so big things are coming to the world of VR live sports. The WWE might be the first of a few fun reasons to strap a headset on and dive in. Interested in contributing content for VR Fitness Insider? Want to learn how to lose weight in VR?